You can be an engineer, a lawyer, a doctor, a teacher, a nurse, a scientist to name a few…….but I have to say motherhood was (still is) the hardest job I have ever had but also the most rewarding. This job has the highest risk with illusions of being in-control at times but in reality with little control. It is a 24-7 hour job, 365 days of the year. And once a mother you are always a mother no matter how grown your children are. While you are in the midst of it, it seems never ending with many days of little sleep, days with plenty of worry and anxiety but there are also days of laughter, pride and joy and then you pray. And in a blink of an eye, they are going to college and on with their lives and you pray some more. When your house is empty you start to look back with a bit of nostalgia at those days when those little eyes looked at you with admiration and with acknowledgement that you knew everything until they get to be teenagers. You long for the days when they were within your sight so you know they are OK, within arm’s length for hugs, within hearing distance to listen to their laughter, in your empty house you pray. How time flies. Then come the years when you worry and hope they find a good partner, a companion a helper and you pray some more. Then come the grand-children, completing the circle of life and you still pray. 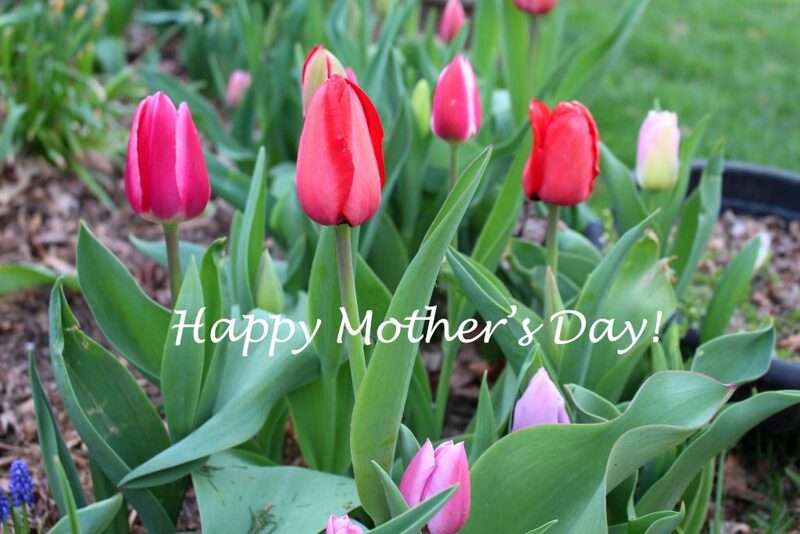 I hope this day brings you many hugs from your young children, phone calls from those that are far away, appreciation for you from the dads, and the knowledge that you are and have been a GREAT mom. Blessed and Happy Mother’s Day!